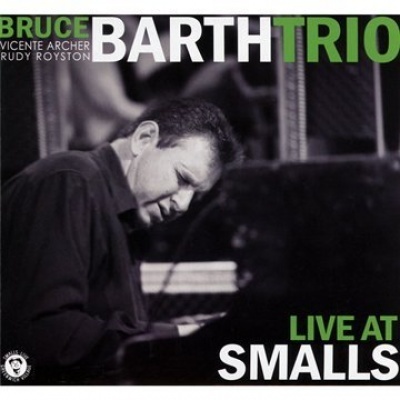 Bruce Barth came into the jazz scene in the mid-'80s and has assembled an impressive discography, both as a leader and sideman. These 2010 performances at Smalls with bassist Vicente Archer and drummer Rudy Royston find him in top form, focusing primarily on his infectious post-bop compositions, though he frequently surprises the listener with his shape-shifting melodies. The opener, "Oh Yes I Will," swings with vigor, while the brisk "Sunday" builds off its initial riff, with the pianist gradually building the intensity to a dramatic conclusion. The mysterious ballad "Yama" has an exotic air, accentuated by Royston's sensitive percussion in the background. "Afternoon in Lleida" is a subdued, bluesy affair, while his choppy, infectious "Wilsonian Alto" is a tribute to the brilliant Steve Wilson, a frequent musical partner. Barth's joyful "Looking Up" is a medium-tempo bossa nova that merits a lyric. The sole standard is a lush, intimate arrangement of "Good Morning Heartache," which conveys its sorrow without the need of a vocalist. Highly recommended.